Brunello di Montalcino is a red Italian wine produced in the vineyards surrounding the town of Montalcino, a small village on an hill (564 metres above sea level), about 40 kilometres south of Siena. Brunello, a diminutive of bruno, which means brown, is the name that was given locally to what was believed to be an individual grape variety grown in Montalcino. In 1879 the Province of Siena's Amphelographic Commission determined, after a few years of controlled experiments, that Sangiovese and Brunello were the same grape variety, and that the former should be its designated name. The Sangiovese grape is the most widely planted grape in the Montalcino region and is the only permitted grape in the Brunello di Montalcino DOCG. The particular clones of Sangiovese are unique to the Montalcino region and have developed in adaption to that area's specific terroir. By the 1960s there were 11 producers making Brunello, and in 1968 the region was granted Denominazione di Origine Controllata (DOC) status. By 1970 the number of producers had more than doubled to 25, and by 1980 there were 53 producers. 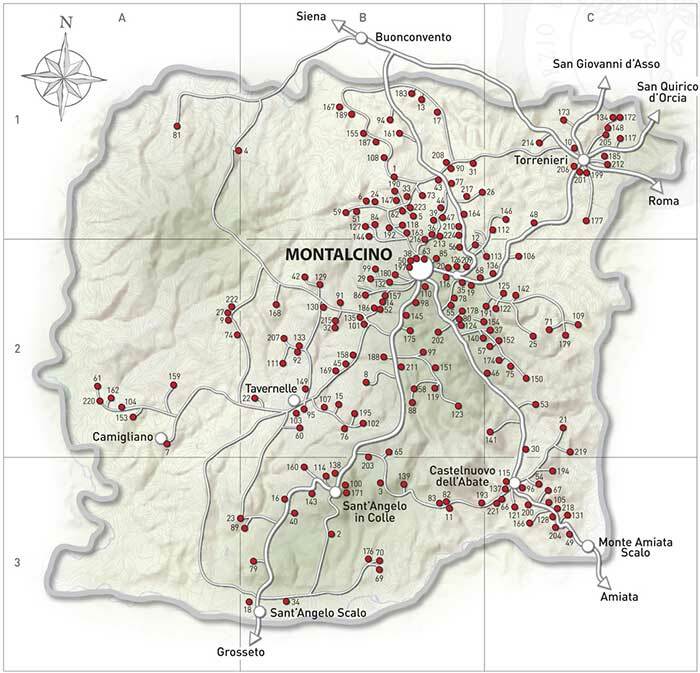 In 1980, the Montalcino region was the first Italian wine region to be awarded Denominazione di Origine Controllata e Garantita (DOCG) designation. By the turn of the 21st century, there were nearly 200 producers of Brunello di Montalcino, mostly small farmers and family estates, producing nearly 330,000 cases a year. 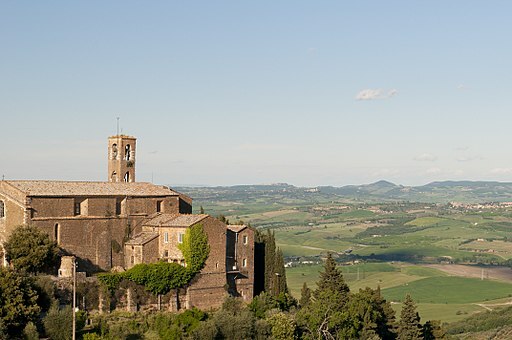 Montecucco, located on the southern border of the Brunello territory is sometimes called Tuscany's last unexplored wine region. Going wine tasting in Tuscany is practically an obligation in southern Tuscany, a region full of rolling vineyards and hidden, historic wine-properties. 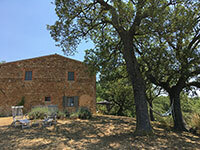 Casa Vacanze Podere Santa Pia is located in the heart of the Montecucco wine region. DOC Montecucco borders such prestigious designation as Brunello di Montalcino, Morellino di Scansano, Sant' Antimo and Monteregio di Massa Marittima. Therefore, DOC Montecucco is one of the most promising designations in Italy. Podere Santa Pia offers a panoramic tour of the valleys that surround the farmhouse, and a visit to some of the best DOCG Brunello di Montalcino. Photo by O.S. (Harold Ramire), licensed under the Creative Commons Attribution-Share Alike 3.0 Unported license.